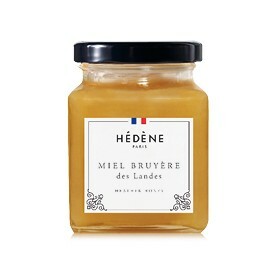 Hédène heather honey is unique, thanks to its warm color. Rare and scented, it has nice caramel and fruity overtones. With a warm color, this refined honey has fruity and caramelized overtones. Its creamy texture makes it unique because, unlike a liquid honey, it melts in hot drinks. It is delightful. 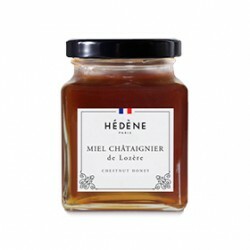 Emblematic flower of South-West slopes, Hédène heather honey is harvested in Landes. Its warm color tinted with gold nuances looks inviting for savoring. With its caramelized notes, Hédène erica heather honey has an incomparable sweetness. It is perfect with pancakes, cheese or lukewarm brioches. It is an authentic honey with intense and long-lasting scents and a light aftertaste of bitterness. Its flavor is very nice, fruity but also caramelized, for a genuine journey through the senses. Erica heather blossoms from June to October. Honey is then harvested at the beginning of autumn. 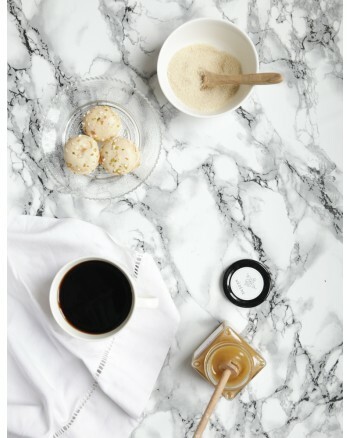 Hédène heather honey wonderfully matches with hot drinks. It perfumes them with delicacy. Its fruity and caramelized notes bring sweetness and greed to a refined and delicate break.